Daesh terrorist group has attacked Palmyra in response to a successful advance of the Syrian government army in Aleppo, Syrian President Bashar Assad told the RT television broadcaster in an interview. 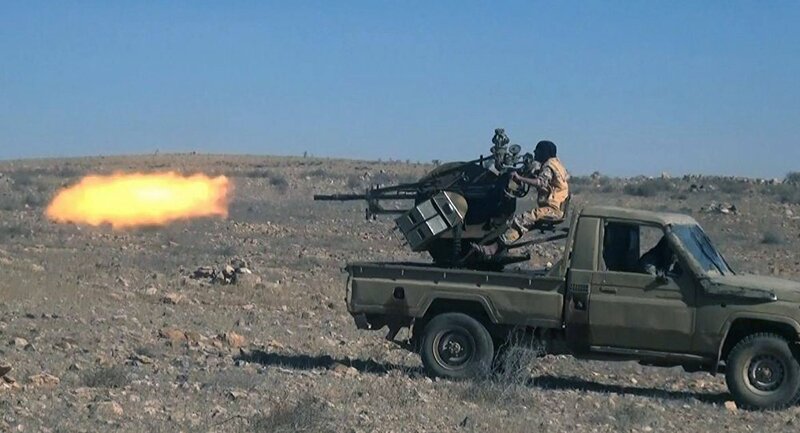 MOSCOW (Sputnik) — On Monday, Palmyra was captured by Daesh militants which pushed out the Syrian army and forced it to regroup at Tiyas T4 airbase dozens of miles westward from Palmyra. "Because ISIS [Daesh], if you look at the timing of their attack is related to what is happening in Aleppo. This is the response to what is happening in Aleppo, an advancement of the Syrian army and they wanted to make this, let’s say to underline the victory in Aleppo, and at the same time to distract the Syrian army from Aleppo to make it move toward Palmyra and start the advancement but of course we did," Assad said. In the last few months, Aleppo has become an important battleground in Syria, engulfed by a conflict between government forces and a number of opposition and extremist groups. Over the past three weeks, the Syrian army and militias have freed more than 98 percent of the territory of eastern Aleppo. Daesh first seized the city in spring 2015 before being forced out by Syrian government troops with air support from Russian jets in March 2016. They have since made multiple attempts to retake Palmyra culminating in a major assault toward the end of last week. Syria has been engulfed in civil war since 2011, with government forces fighting the Syrian opposition groups striving to overthrow Syrian President Bashar Assad. The conflict has been exacerbated by the rise of extremist groups such as the Jabhat Fatah al-Sham (previously known as al-Nusra Front) and Daesh, both outlawed in Russia.